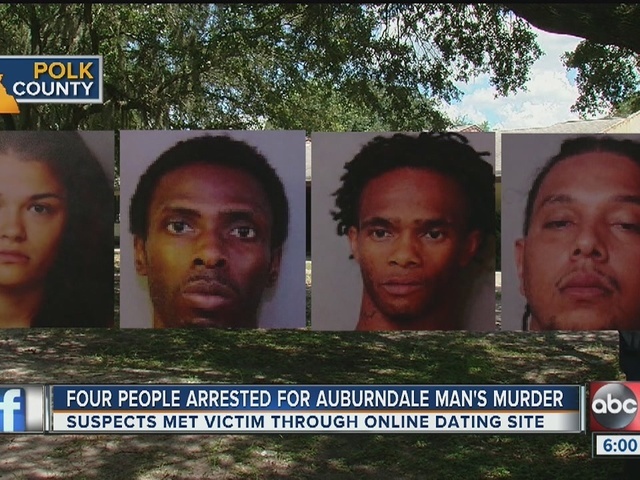 Police in Florida say Adam Hilarie, 27, was shot and killed inside his apartment around Friday evening after meeting a woman on a dating website. 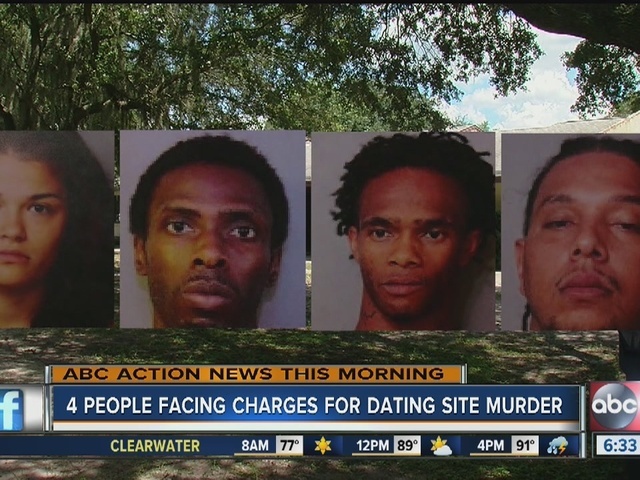 Police have arrested four individuals for their involvement in the homicide. Andre Maurice Warner, 26, Gary Terrell Gray, 31, Joshua Ellington, 26 and Hailey Rose Bustos, 18, were arrested and charged. They were all charged with conspiracy to commit robbery, robbery with a firearm/deadly weapon and first degree murder. Ellington and Bustos also face charges for violating their probation. Police say Bustos met Hilarie on the online dating site Plenty of Fish and went out on a date on Thursday evening. Hilarie reportedly picked up Bustos and after the date, he dropped her back off. Bustos then reportedly returned to his apartment with other suspects to rob Hilarie. Police were initially called to investigate a suspicious death and later ruled Hilarie's death a homicide. Dozens gathered for a candlelight vigil outside the apartment where the deadly shooting happened in Hilarie's memory Saturday night. "I knew he was loved, but this is amazing," said Anna Cruz, Hilarie's mother. 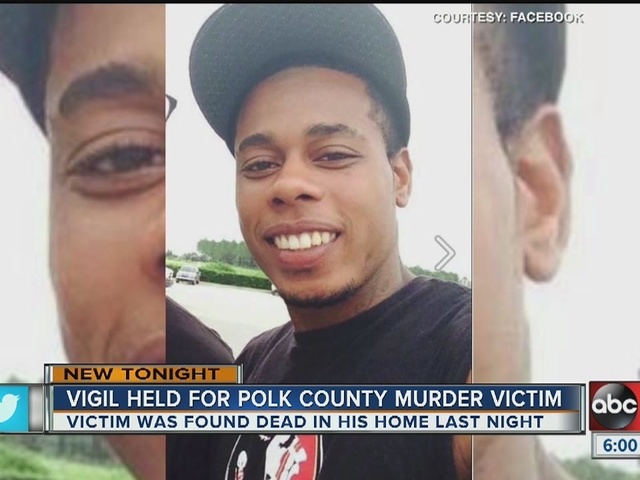 Hilarie's family and friends are devastated following his murder. 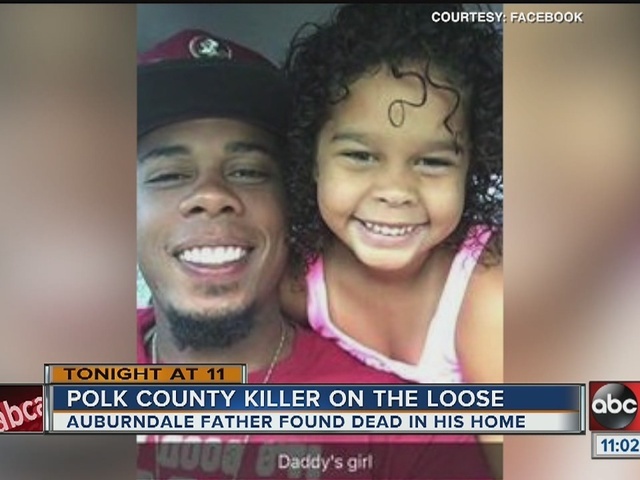 They say he had a beaming smile, kind heart, and a huge love for the Florida State Seminoles. "He just had this spirit about him, and it was inexplicable, you know. He brought out the good in everyone," said Angel Cruz, Hilarie's brother. The light of Hillarie's life, was his 5-year-old daughter Lajaya. "I miss my daddy because he's with Jesus," Lajaya said. As those closest to Adam come together and grieve, they're struggling to understand why anyone would want to kill him. "It's pointless to have that in your heart to want to be violent and kill someone else. I just don't get it. I don't understand how people could even want to be like that," Angel Cruz said. Police told the family it doesn't look like Hilarie's apartment was broken into, but his family says some expensive electronics and jewelry are missing. So they're clinging to the keepsakes left behind, like Hillarie's boxing medals.